I have my 1975 Superglide FXE for sale that comes with a beautiful custom motorcycle paint job, Semi-Ape Hangers and an S&S Carb. 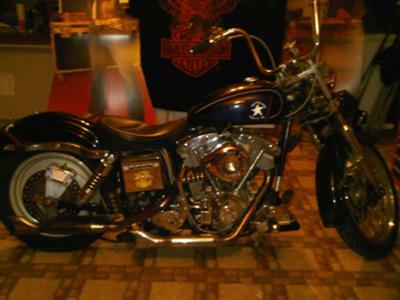 This Classic 1975 Harley Davidson FXE Superglide has only 35,000 original miles and is super clean. The 1975 Superglide runs great and has lots of Chrome! 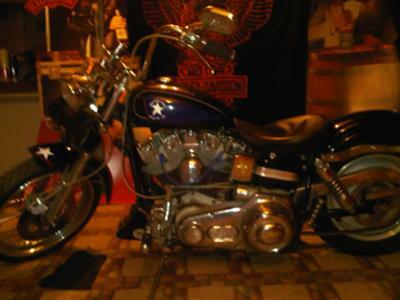 The motorcycle is located in Orange Texas and you can own this nice bike for only $6500! Contact us more for Pics email by leaving your questions and contact information in the space below provided by Strike Lightning Used Harley Davidson Motorcycles for Sale and the owner will get back with you as soon as possible. Strike Lightning would also encourage bikers to submit a review of the 1975 Superglide FXE for sale to help potential buyers make informed decisions and to benefit the biker community as a whole.